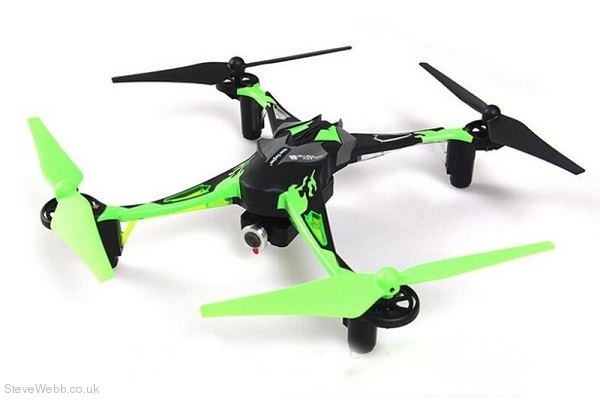 The Nine Eagles Galaxy Visitor 6 is a lightweight and versatile FPV (first-person-view) drone packed full of the latest features. Armed with an onboard 720p HD camera, the GV6 transmits its image directly to your smartphone or tablet via WiFi. This gives you recording control via your smartphone so you can start and stop the video whenever you need to. You can also take aerial stills. The Galaxy Visitor 6 from Nine Eagles supports booth Android and IOS based devices. 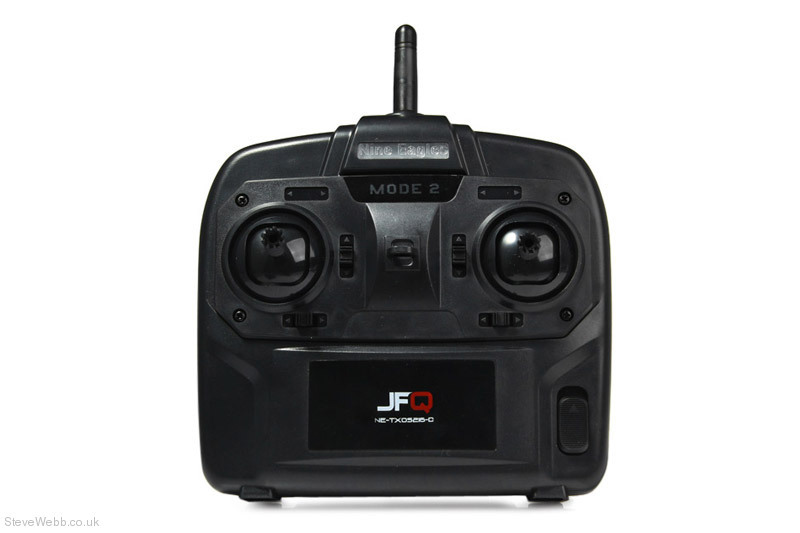 The GV6 is very easy to fly and extremely stable, thanks to the 6-Axis Gyroscope and the unique Altitude Sensor. You can even take your hands off the controller and it will stay in the same altitude in a stable condition. 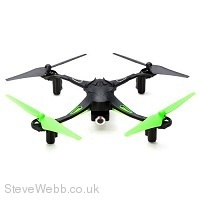 The futuristic plastic shell makes this quadcopter very tough making the GV6 an ideal drone for beginners. It can do a 360° flip! Photo: 720P, 96dpi, filename extension is ".jpg"